National Public Lands Day September 30th is National Public Lands Day and we invite you to celebrate the fact that WE have 640 million acres of public land. The day will be fun filled, family friendly, and we warmly invite you to come see us and learn how you can take advantage of the wonderful opportunities in this great country. Fly fishing and hunting run nearly hand-in-hand at Red's and we want to invite, educated, and encourage anyone interested in learning more about either sport to join us. The ultimate goal for both groups is conservation of our precious habitat and game species both in and out of the water. By having a healthy constituency of anglers and hunters we can insure that our public lands are conserved and preserved with sporting interests in mind. You will also get a chance to become familiar with Washington Associate of Land Trusts as well. This is a collective voice for our states land conservation organizations and they work to protect the lands and waters that define our Northwest way of life. Join us at our resort in the Yakima River Canyon to learn more about how to best utilize the wonderful public lands that we all own. Remember YOU ARE A PUBLIC LAND OWNER! 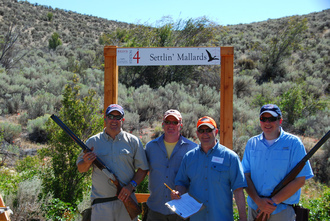 Sporting Clays Tournament - All for Fun! Shooters will earn prizes for breaking colored "Jackpot" targets throughout the shoot. Completed score cards will be drawn as raffle tickets @ Canyon River Ranch for door prizes! Check in is directly at the sporting clays course, just south of Red's Fly Shop on the hill. Pay cash the morning of, or pay at the shop by credit card and bring your receipt up to the course to get your score card and ammo. We'll have a buffet lunch at Canyon River Lodge for up to 100 people starting at 11 am. After all this food is gone folks can order lunch off the menu at Canyon River Grill and beer and wine will be available for purchase throughout the event! Baked Chicken Sausage Pasta, Salad and Garlic Bread - You can grab a plate of food and enjoy some of the many seminars. 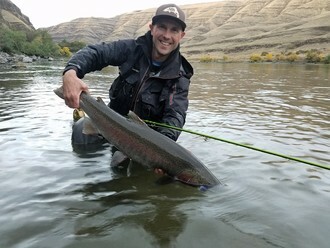 Joe Rotter is a co-owner at Red's Fly Shop and has a rich passion for helping anglers learn how and where to become successful fly fisherman. This seminar will include lots of details on exactly where, when, and how to have successful DIY fly fishing trips on public water. 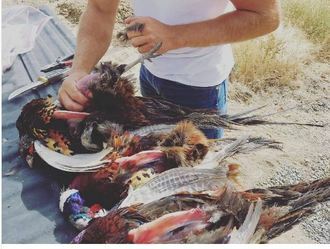 Ron Stiffler is a long time local hunter that enjoys wingshooting, big game, and other species but is especially captivated by the challenge of hunting one of the most intelligent game species on the planet. The coyote. He has strategies to share that will educate beginner's but many long time hunters will learn some new ideas and techniques to help improve their game. 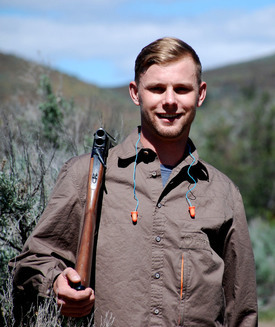 Ron is our resort manager here at Canyon River Ranch and Red's and loves to help sportsmen improve their skills and introduce new hunters to this great sport. He will also share creative ideas for utilizing the beautiful fur these great animals offer the successful hunter. Richard Mann's obsession for hunting wild turkey began in 1984 in SE Utah with a box call purchased in a second hand store. He has pursued these magnificent game birds in Washington since 1990 and affectionately refers to them as "his disease". 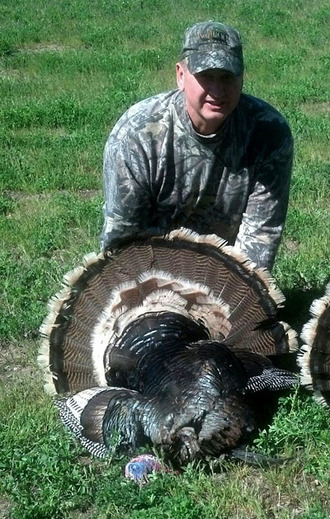 With over 28 years of "experience", much of his turkey hunting education comes from first hand experience as there was little opportunity to learn from seasoned hunters. Rich has shared his passion for the wild turkey, and "lessons learned" from them, to others for nearly ten years through seminars and mentored hunts. He is an active local and state chapter National Wild Turkey Federation (NWTF) member and serves as Washington's NWTF Save the Hunt coordinator. Whether you are new to turkey hunting or a seasoned vet, come join us for a discussion on Fall hunting the wild turkey. Steve is a co-owner at Red's Fly Shop and a long time Chukar hunter and guide in the Yakima Canyon. 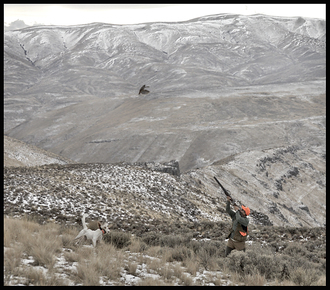 Come learn where and how to become a successful Chukar hunter in Central Washington. This seminar will include suggestions on public land access, dog handling, and more. 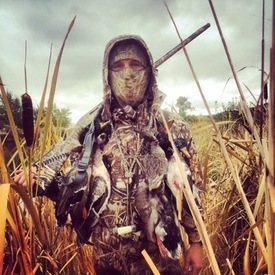 Curtis is the director of our hunting and shooting sports here at Red's and an AVID waterfowl hunter! Come learn where, how, and when to put together successful DIY duck and goose hunts in central Washington on public land. His seminar will be very beginner friendly but you ol' salty vets will appreciate his passion and likely learn a few things. 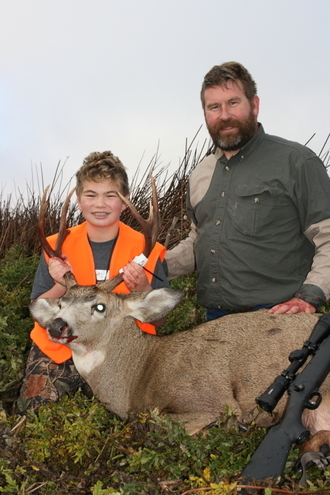 Aaron is a local outdoorsman that has been teaching Hunter's Education locally since 2006. 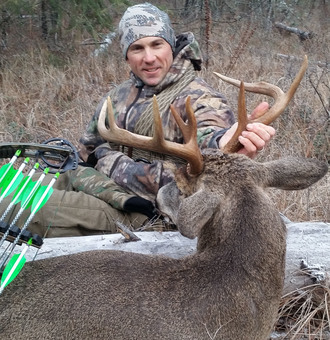 He will put on a seminar for FIRST TIME big game hunters that teaches you how to get started with information on equipment, public land access, and field dressing your big game. Super kid and beginner friendly. Joe Rotter is our lead guide here at Red's and in addition to fly fishing he is an avid archery hunter. 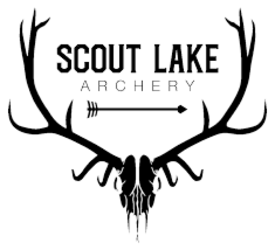 Come learn about the similarities you'll find between archery and fly fishing and how you might expand your outdoor experience by picking up a bow and arrow. In addition he'll share some information about his passion for exploring the deep wilderness and hunting with a sleeping bag on his back. 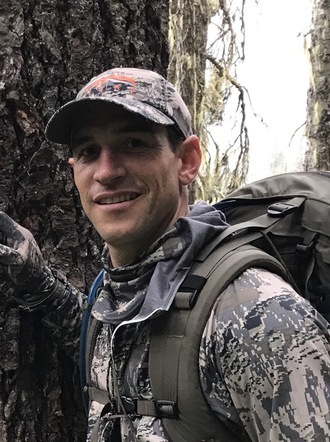 Aaron Garcia is the WDFW Region 3 Hunter Education and Volunteer Coordinator and President of the Central Washington Chapter of First Hunt Foundation. He has been an avid upland bird hunter for over 20 years. 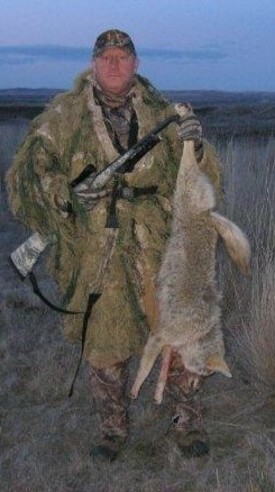 Aaron has also been developing the new hunting clinics and mentored hunts throughout eastern Washington for the WDFW. 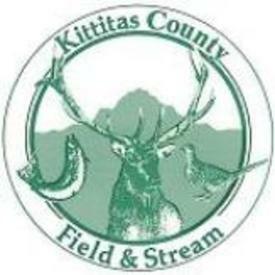 Come listen to the Pheasants Forever group teach you how to get started upland bird hunting in Central Washington. They will chat about where to go, how to get started, and even offer some pointers on wingshooting. These guys are enthusiastic teachers and this seminar will be great for kids, beginners, and even seasoned bird hunters will enjoy hearing some of this great information. We'll have some casual lessons and several fly rods available for anyone that would like to learn some basic fly casting skills. 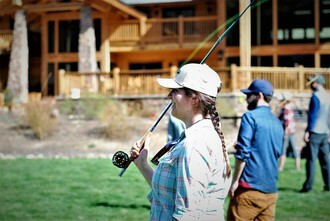 Our staff will also host a "Kid's Fly Fishing Camp From 1 pm - 2 pm" as well. We'll hunt down some bugs (trout candy) and teach them where trout live, what trout eat, how to fly cast, and we'll top it off with smores. Big fun! 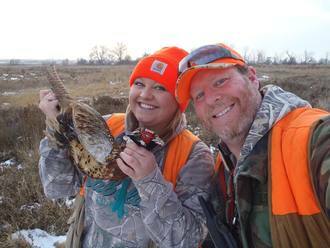 Learning to properly field dress and prepare your upland birds is easy. If you are just getting into hunting, or would like to learn some new tricks, come watch this short demonstration hosted by Pheasants Forever. Have you ever dreamed of taking your own horses into the mountains? From 12 pm - 2 pm, this Saturday at Red's as a part of our Shootout Rendezvous and a celebration of National Public Lands Day, Taylor Gordon owner of Diamond T Horsemanship will be giving pointers on demos on how to get your horse ready to ride and pack in the mountains and set up right to enjoy some of the 640 million acres of public land that we all own as citizens of this great country. While Taylor is currently most famous as one of the country's best at starting colts, one of his specialties is training trail horses for regular folks like us. Taylor will have a couple of trail horses and demonstrate packing techniques for game and gear, and talk about the challenges you may be up against as a rider or wrangler as you take your horse into wild country! 12:00 pm - Prepare the BEST Pheasant Dinner of Your Life! 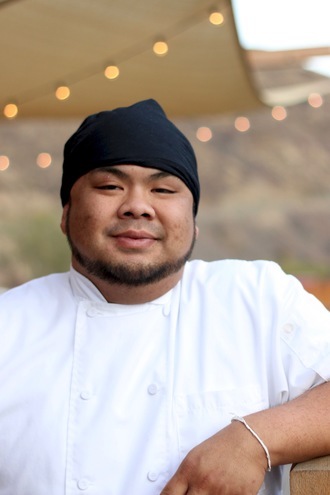 Come learn from Canyon River Grill chef Jed Alcaide on how to prepare the BEST Pheasant of your life. He has a recipe that is delicious and would love to share some tips on properly cooking and preparing that hard earned game meat.